Thank you for making the world smarter, safer and easier to navigate by sharing a ride with WeGo Transit & Hytch Rewards! Did you know that you can earn CASH when you share a ride on the Music City Circuit and Music City Star? Taking single-occupancy vehicles off the road, which means reduced traffic congestion, increased parking spaces and improved air quality. Building community by getting more friends, neighbors, family members, and co-workers to spend more time together while traveling. Joining WeGo efforts to reduce congestion and air pollution, to help educate and promote green practices. Taking a zero-emissions trip, thanks to Hytch purchasing and retiring carbon credits to offset emissions. Moving us one step closer to zero fatalities on the road, since shared rides are safer rides. WeGo Transit's intent is to make using public transportation worthwhile and that means rewarding changes in transit behavior! Through the Hytch Rewards platform, riders who use public transit can earn cash rewards, above and beyond through sponsorship of Hytch Partners. What challenge does WeGo and RTA hope to overcome through this partnership? It is an example of how, through improving the customer experience, we are striving to improve quality of life for everyone in Middle Tennessee. Rewarding customers for responsible travel behavior is are way of saying we care for our community. Multi-modal transportation is becoming more important every day to address the traffic congestion we all face as Middle Tennesseans. Carpooling, transit use, bicycles and pedestrian activities are all vitally important to finding mobility solutions that work for everyone. 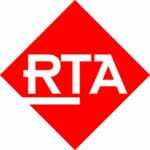 Do WeGo Public Transit/RTA customers have access to a Promo Code? Promo Codes are a feature of the Hytch Rewards platform that allow people belonging to a certain group to earn rewards not available to the general public. Currently there is not a promo code set up for customers. Read more about the announcement of the Hytch partnership here. NASHVILLE, Tenn. (Aug. 22, 2018) – Hytch, LLC, the Nashville-based social impact technology company, together with WeGo Public Transit and the Music City Star with the Regional Transportation Authority of Middle Tennessee, announce today their partnership to reward commuters who share a ride by taking public transit rather than driving alone. Through this new partnership, individuals who take the public transit in Middle Tennessee will be rewarded for defending clean air and helping solve the many challenges of Music City congestion. By partnering with Hytch and through the generosity of market sponsors like Reliant Bank, WeGo and Regional Transportation Authority customers can now more easily earn cash rewards when using WeGo buses, like the Circuit, and Regional Transportation Authority services. Since its February 2018 launch, Hytch has provided a socially conscious solution to traffic congestion by incentivizing citizens using personal vehicles and public transit for daily commutes and related travel. Hytch users have saved the carbon emissions equivalent of more than 65,000 trees by riding together. Each user earns the title of Hytch Hero as they encourage downloads in their local community. Today, more than 7,000 user downloads later, Hytch Heroes are sharing an average of 25,000 miles a day on Tennessee roadways, totaling three million shared miles year to date. Hytch is available on both iOS and Android smartphones. To learn more about Hytch or download the app, please visit HytchRewards.com. WeGo Public Transit (formerly Nashville Metropolitan Transit Authority) is a public transportation agency that serves all Metropolitan Nashville and Davidson County neighborhoods with 47 bus routes, including the free and all-electric bus operated Circuit throughout downtown Nashville, extending from Tennessee State University in North Nashville to the Gulch. WeGo also provides paratransit services (AccessRide), which is a door-to-door mode of transportation for eligible riders with mobility constraints, and physical or cognitive disabilities who are unable to use traditional bus service.